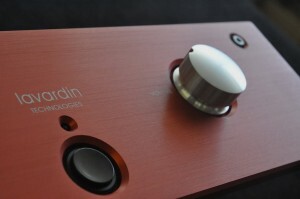 Posted September 30th, 2011 by Yvonne Hawkey & filed under Amplifiers, Lavardin. The â€˜15â€™ is a celebration of Lavardinâ€™s 15th year and what a present theyâ€™ve given us. Itâ€™s basically a supercharged IT (the Cooper S version â€“ yes, I love Miniâ€™s too) where every component is specially selected and the circuits are honed to their peak. At present the guys at Lavardin reckon theyâ€™ll only make 400 so youâ€™ll need to get on the waiting list pronto.